Set to meditation music from Thaddeus. This channeled angel message has also been transcribed if you would prefer to read it, keep scrolling below. At this time, I ask that we be surrounded with divine healing light and love. I ask that the guides, angels, ascended masters of love, light, and healing, who can most serve, enter into this present time and space, connect with us, uplift us, surround us with healing light. And help us to tune in to the divine healing energy that will most serve to restore vibrant health, well-being, and radiant bliss. And so, it is. Greetings from Archangel Raphael, Archangel Haniel, Mother Mary, Orion, Christ, Buddha, and so many more. We are here now with you, present with your entire team of healing guides and angels, Reiki ascended masters, psychic surgeons, doctor guides, angels of light, and guides of healing, wisdom, and love. We surround you now in a circle of light, as strands of divine light and healing from above stream into this present point in time. You may envision this as a brilliant orb of pure divine presence, with your healing team all around. At this time, light flows into your mind, your mental body, bringing your thoughts into alignment with vibrant well-being, bliss, and joy. Healing light flows into your spirit, restoring your energy body and your aura, filling your energy body with divine light, strengthening your auric protective shield, and releasing lower and foreign energies, lower vibrations into the divine light and love all around. And now, light continues to stream in, wrapping your physical body in a high vibrational healing blanket of light, surrounding your mind, body, and spirit with the highest vibration of healing, with divine presence, with love. Let the healing light flow in through the top of your head and down along your spinal column, flowing into all of your chakras and each and every cell, strengthening your immune system, and elevating your vibration with joy, love, and light, restoring the divine blueprint of radiant, vibrant health for your physical being. Light flows in and all around you, nurturing, soothing, uplifting, cleansing your mind, body, and spirit of all that no longer serves, flushing out toxins and releasing it into the light, and releasing blockages at any level. This raises the light you are able to hold, raising your vibration now, restoring health and harmony, your true, authentic state of vibrant well-being, of radiant love. At this time, tune in to the color that will most support you in restoring energetic health and well-being. This is the color of your illuminated healthy physical body. Tune in to this color, becoming aware of the color in your mind’s eye, as a thought or simply knowing what color is right for you now. If you do not see a specific color, let it be okay. This works, nonetheless. And this color of light, which is your authentic state and truth of vibrant health, now flows energy through your entire body, into every inch and every cell, from head to hands, hips, legs, feet, and toes. Every system of your body is bathed in this cool, comforting, healing light that sparkles and tingles through your entire being, empowered by direct divine presence, guided by your team of guides and angels into whatever areas of your body that can most use this healing and uplifting blessing. It ushers out any colors or patterns of energy that are not in alignment with vibrant health and restoring your healthy, whole, divine blueprint, radiant physical health, to match the brilliance of your full divine light, your true divine nature, and your highest spiritual potential. Relax at this time, as the full presence of your soul, the full light of your higher self, the energy, frequency, and diamond light body of your highest vibrational truth, your angelic self, your divine self, now merge with you in this now. Christ light, divine light, enlightened presence of your diamond light body, of your authentic divine nature, enters into your spiritual being, your aura, and your light body. And this influx of vibration, by default, automatically releases any lower, stagnant, stuck, or foreign energy. 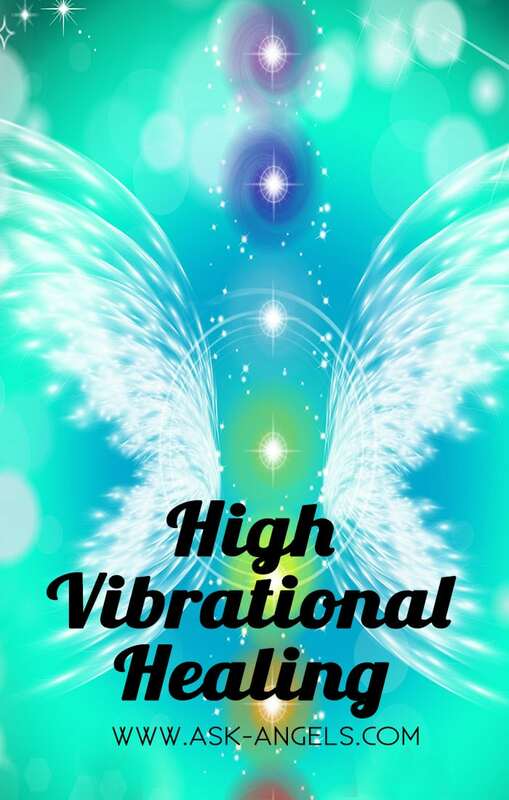 This high vibrational alignment fills any holes in your aura, any weak spots in your energy body, raising your vibration of all that you are, and your physical, mental, and spiritual body now. Receive this light download into your spirit, mind, and now into your physical form, feeling the light tingling throughout every inch of your body, feeling the light pumping through your veins and flowing through your blood. Breathe in the light. And as you exhale, vibrate higher, lifting, floating in the light of the Divine, and restoring your authentic truth, your true divine nature. Become aware of the orb of light around you, taking on whatever color, shape, and texture will most support your complete healing now. Your team of angel energy healing guides and angels custom blend this healing light to nurture, restore, support, strengthen, and resolve. Breathe and relax. Know that your healing is happening, and trust that you are supported. Now open your heart, allowing yourself to tune in to the vast, unending love that your team and spirit has for you. This love offers you a raft, a path, guidance, and support through any challenge. Return to love now, knowing that you are immensely loved and your true nature is love. And whatever challenges of health or mind in your life that you’ve been experiencing have come to bring about this moment now, where you shift and allow greater love in, where you allow the full restoration of your vibrant physical light, your true divine nature, your highest self becoming present, entering into, fully awakening within your physical body now. At this time, feel all of your energy gathering inside your body, bringing your energy in. And any that has been lost, or left, or stranded throughout time and space, across the lines of time, now returns to you cleansed and purified. Calling back your energy, like you are a magnet for all, is your truth and authentic goodness. Your power, your potential and creativity, your health, your ideas, gifts, and abilities, and your full light return to you now. A golden spiral of light flows around you, restoring your energy and all that you are. And we say to you, “You are magnificent. You are radiant. You are incredible. You are divine. You are love.” Now, at this time, feel your energy grounding to the earth, a column of light flowing down from your hips in the area of your root chakra and into the earth. And along this grounding column, so too, do any foreign energies, illnesses, or heavy vibrations flow down and release out from your physical body into the light at the core of the Earth—divine light, one with the divine, and one with all that is. Feel your oneness with this light at the core of the Earth. Feel your oneness with the Divine. Feel your oneness with vibrant health. Feel nurtured, supported, and healed, knowing that from this point in time, moving forward in every moment and in every way, your health is being restored. You are feeling better. Your energy is more vibrant; your light, more intact; your potential, more realized. Every day and every way, you are progressing in the direction of your highest potential, your radiant health, your vibrant truth, one step at a time. Listen to your inner nudges, your inspiration, to make choices in the physical world, to align on that level, as well, with what is now solidified in energy and paved through vibration for radiant well-being. You are healthy. You are vibrant. You are loved. This orb of light, healing, and love will remain around you for the next twenty-four hours. After, and even during, that time, continue to call it in, thinking healing light, angel energy healing, and envisioning this orb of whatever color will most serve you, around your energy, your mind, and your body. Envision light filling every cell. And right now, get a glimpse of yourself, feeling more vibrant and healthier than you have ever been. See yourself running, jumping, skipping, or laughing. See yourself vibrantly healthy. If you tune in to a vision that is less than vibrant, release it into the light and refocus on radiant health, on feeling great, being full of energy, life force, and divine light. And know that this vibrant image already is. You already are. And we are supporting you, loving you, one step at a time, in continuing to stay and grow in deeper alignment with this underlying truth that you are healthy, vibrant, centered, clear, connected, charged, and so incredibly loved. We love you. We love you. We love you. And this love is the most powerful healing force. Open your heart. Let it flow through your body. And so, it is. Tell me as you have the insight,and you talk to the archangels , do I have an aura as it was told to me when I was young by a RIEKE master.about 25/30 yrs ago.DO I still Have it.What am I supposed to do. I got your e-mail and you must be talking about my secret. There is a reason why it must remain a secret. All I can say is that those helping people like me should not receive fame or money for helping people. That is why. It’s also a spiritual secret, because I do not trust spirits or anything paranormal. Plus, I can’t let go when it comes to helping people. I owe it to the Homeless. If it weren’t for the homeless helping me, I would have had a heart that is worse then it already is. My heart may be closed, but by helping the homeless, I will have a happier life. Please, don’t tell me to give up on helping the homeless people; I need to do the job. Thank you for your time. I will await your response. SO glad to hear you had a powerful experience with this healing channeling! ?✨? Thank you Melanie and all the supporting cast in the meditation. This is like a tuning fork to reset an individuals vibration to its original soul note. It is helping me so much during this very challenging week! You are supported and loved sister! the healing meditation was awesome. I feel love and much better from my knees pain. Please send me a message as to if my house will sale soon. This was a beautiful, extremely touching meditation; thank you and all the Divine energy present for us/for me; I am grateful; blessings to you and the divine beings. Thank You very interesting. I Love my Angels. Blessings and Light????????. Thank you! Let me wait for the results. I am really impatient. Melanie, Thank you. I asked you to draw near with the Angels and help my family. You did, along with the Angels….i am overwhelmed with unconditional love! I feel like I am dying without passing from this place. I am scared but in peace. May every ounce of Divine Energy you have ever give come back to you ten fold now and forever, and so it is. May every ounce of photon love flow you have ever shared with another come back to you and your being throughout your Dna, penetrating your cells ignitinging your electrons spinning your beautiful Merkaba now and forever and so it is. Your are here to heal the broken hearted and set the captives free! Deep bow to you Melanie dear I love you and your entire team with my whole heart. What an honor to be in this life with you at this time, may you constantly be lifted up and feel the love coming from me and countless others who have been healed by your love. Thank you Melanie & Spirit!! This most beautiful and heart warming meditation and message was graciously offered just when I truly needed it. Thank you spirit, thank you angels and thank you Melanie! I love you! I love you! I love you! You are the greatest person! Thank you so much for the High Vibrational Healing. I am so very gratefull for the healing love that I experience with this.